'This is what daily life is like for people who are deaf, blind or in a wheelchair'. Qualified Teacher in Art/Photography & Inclusive Drama Facilitator. I also dabble in theatre making work accessible and sometimes I perform too. I am qualified teacher and a drama facilitator. I describe my artistic practice as exploring communication and challenging perceptions on how we connect and/or disconnect with others. I run inclusive drama workshops for young people with and without disabilities, developing and devising performances without the use of words. I support deaf and disabled people to access the Arts through education and engagement; believing everything should be inclusive and accessible by supporting young people with disabilities to overcome barriers. I am an advocate for change within drama and theatre in Wales, challenging prejudices and judgments of people with disabilities within the Arts. I also advise theatre makers on ways in which their performances could be more accessible. My clients ranges from emerging to established companies. I have worked National Theatre of Wales, Arts Council Wales, Jukebox Collective, Motherlode, Dirty Protest and many others. My previous job was at Sherman Theatre as a Creative Learning Assistant gaining experience delivering inclusion workshops to young people in schools and communities. As part of my role I engaged young people in conversations about access in the Arts and the importance of accessibility and breaking down barriers. While I was at Sherman and with the support of Sherman 5, I helped to set up Sherman Deaf Theatre Club (www.shermantheatre.co.uk/deaf-theatre-club) with the sole purpose of breaking down barriers for deaf people when visiting a theatre performance. I hope to empower and include the Welsh deaf community in a way that has never been done before in the Arts. I feel Wales are lacking behind our counterparts in the UK when it comes to inclusion and accessibility for the deaf community in the Arts. I am deaf. I am passionate about everything in the Arts from theatre, music, dance, film and visual art. I am even more passionate when performances are accessible. Three words I like - Inclusion, Educate and Inspire. From Feb 2018, I will be starting my tour, 'Louder Is not Always Clearer' which is produced and directed by Mr & Mrs Clark. (www.mrandmrsclark.co.uk/portfolio/louder-is-not-always-clearer). In April I will be an artist residence for Pervasive Media Studio looking to develop my current work to more accessible in a creative way. (https://www.watershed.co.uk/news/meet-our-new-talent-residencies-co...). As a consultant I will be working with several arts organisations to make work more accessible to deaf audiences. Valleys, Mountains, Frothy Coffee and The Good Earth. Two weeks ago I met up with Welsh theatre company, Motherlode to watch their final rehearsals for ‘The Good Earth’ at The Park and Dare Theatre before they set off on their travels to New York City. 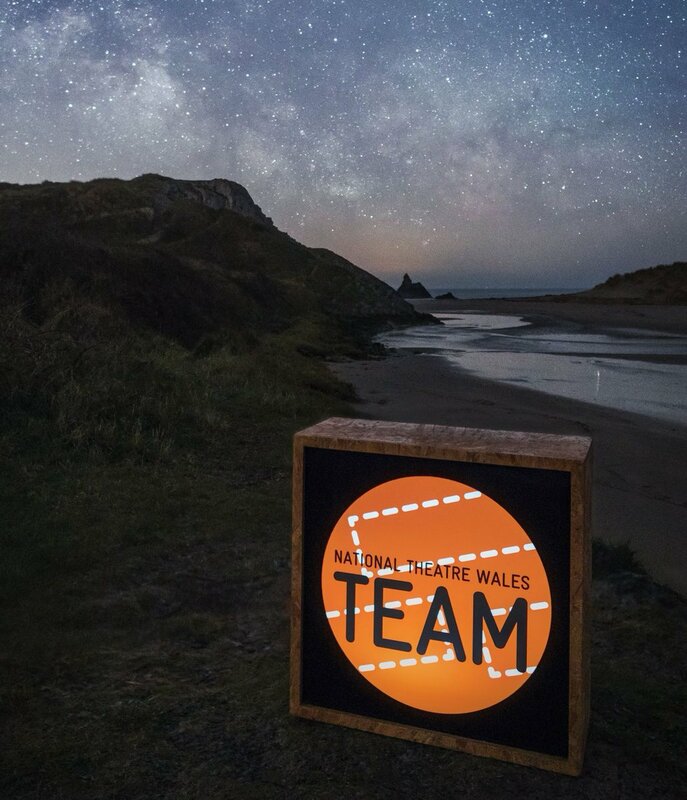 I have been asked to be part of their ‘on the ground’ promotional team for their return to Wales where Motherlode will be performing at theatre venues throughout the country. Having heard and read so much about them, I was glad to be given this opportunity.